Two Marines are accused of murdering a fellow Marine at Guantanamo Bay and an untried Navy lawyer is chosen to defend them. The accused, Dawson and Downey, are not the easiest clients, and Kaffee, is not the most understanding lawyer. Forced to deal with a lawyer from Internal Affairs and an arrogant Colonel Jessep, Kaffee feels the pressure to clear these Marines of all charges. Why I Love It – There is much to like about this film, but the performances by Tom Cruise and Jack Nicholson are at the top of the list for me. Tom Cruise manages to carry this movie with his cocky and winsome Kaffee. And Nicholson was the perfect Colonel Jessep and his performance places this movie in the great category for me. I know how ridiculous the last scene of the movie is from a reality standpoint, but I really don’t care. I loved every minute of it. And it provided so many unforgettable lines that the movie is still being referenced more than 15 years later. They were not the only awesome performances. I thought everyone in the movie was spot on. 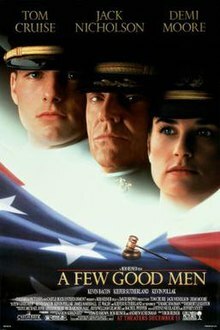 Even if Demi Moore’s character was a little too gung-ho and melodramatic at times she did provide the patriotism needed to make the movie work. The cast alone makes this a must see if only to use it in the Kevin Bacon game. I love this movie too! So many great lines. Jack Nicholson is appropriately insane (isn’t he always?). Tom Cruise is great and I loved Kevin Bacon’s part. For me, it was an affirming movie that sometimes the right thing to do is not the popular thing to do. Sometimes you have to stand alone and just know in your heart that you have done the right thing. I totally agree with you about doing the right thing. That is part of its appeal. Another movie I’ve never seen, and I’m not sure why since I love most of the actors in it. I think you’d like it! It’s all about Jack for me. God – he plays this role sooooo well. I actually don’t really like Cruise all that much in this role – I always have images from Top Gun popping into my head. But I did enjoy his humorous moments here. I think that I only appreciated Cruise’s performance after watching it recently. At the time it seemed like he was acting like Tom Cruise (which was a good thing back then), but this time I notice that he was pitch perfect for the part. Was it acting? Maybe not, but it worked for me. I LOVE this movie and have watched it many times. Very cohesive ensemble of actors, but it’s Nicholson’s and Cruise’s movie, obviously. This is when I still loved Tom, before he became a caricature of himself. Jack is always awesome. I actually liked Demi’s character, and I thought it was admirable of the writers not to insert a romance into it, although there was obviously attraction between the two. I love Kevin Bacon, too. He was perfect for that part. I liked the fact they didn’t have Tom and Demi hooking up too. It made the movie so much better! This was a great movie and I’ve seen it several times over the years. The final courtroom exchange between Cruise and Nicholson was one of the best ever. Ohh, this was a good one. 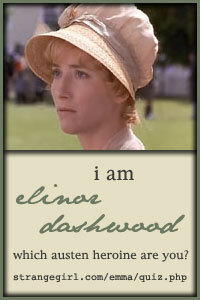 I agree with you on the spectacular acting, excluding Demi Moore. I am going to have to go back and see this again as I don’t remember the ending. Now you have me curious. Oh Yes, this is one that came highly recommended from my hubby too! I need to watch this one of these days! This has got to me one the most quoted movies ever and it’s all about Jack. Electrifying court room scenes. You have to watch it from beginning to end! What an oldie but a goodie! This was such a great movie. We watched The Juror with Demi Moore and Alec Baldwin today – excellent.